How are you doing on this lovely November Sunday? Leave me a comment with what you’ve been up to this weekend. Yesterday, I did a spot of shopping with my favorite, Neave. You can’t go wrong with a cousins’ day out, can you? I tried not to bore her with my ability to shop until I drop lol. 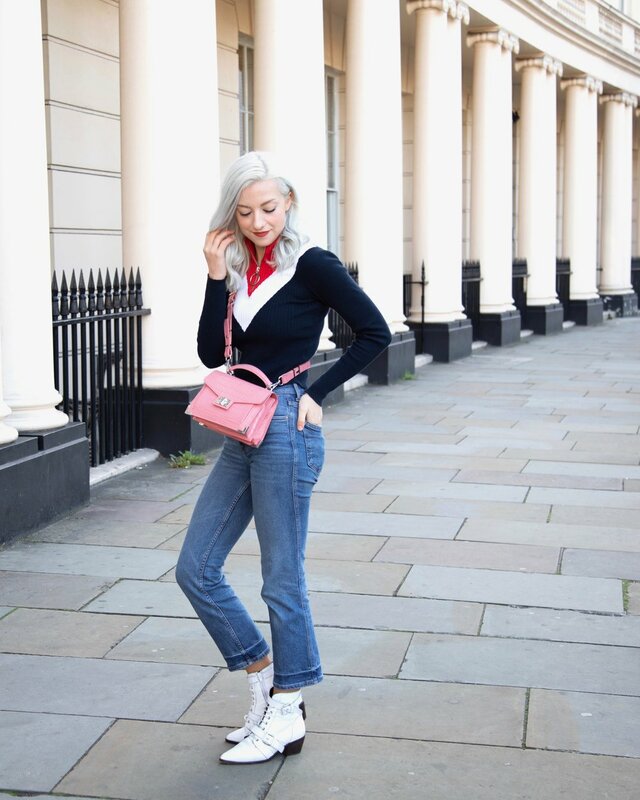 For this week’s post, I want to talk about how to find your perfect pair of jeans. From past experience, I know that jeans can be one of the most torturous things to shop for. 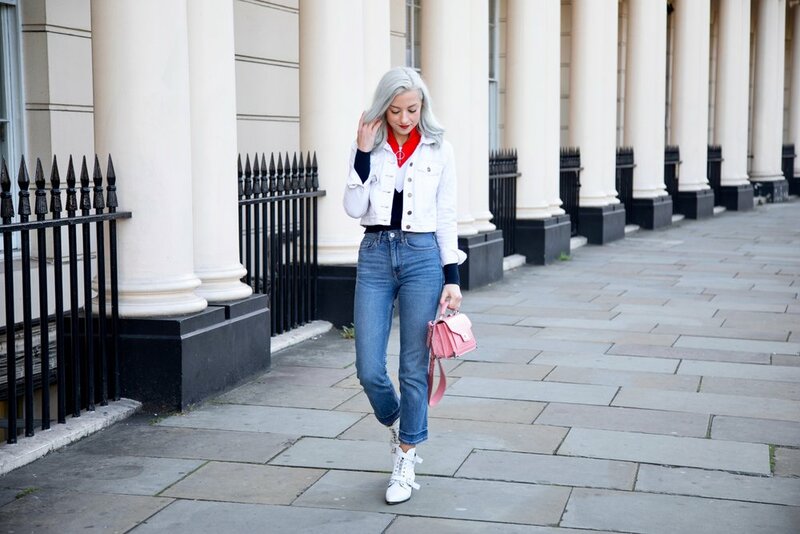 It’s something not many of us look forward too, but hopefully with my tips (you know I love my tips haha), finding your next pair of jeans might not be quite so bad. The reason jeans seem to be so hard to find is that finding the style, color, and cut that flatter’s your unique shape can sometimes seem impossible. The first step to finding the perfect jeans for you is to assess what your previous favorite pairs of jeans have been. Look at what brands you’ve purchased the most jeans from, what wash you tend to go for, and what style you constantly go for when throwing on an easy jeans and a tee outfit. Apply the elements you liked of your previous pairs of jeans to this next pair. The next step, is to find the shape that flatters you the most! Most likely, you’ll already have a favorite shape pf jeans whether it’s skinny, boot cut, cropped, etc., but if you don’t, this step can help. I suggest going into one shop that has a great jeans section like Levis, Topshop, or Gap. Then try one of every style they offer in your size. You might be surprised by which flatter’s your shape the most! For example, I previously thought skinny jeans were the only jeans for me, but I’ve fallen in love with these cropped straight leg jeans from H&M. Don’t get me wrong, I still love to rock a skinny, but I love how these give my legs bit more shape! This might seem obvious, but I bet more people are guilty of wearing jeans that are too big or too small than we think! I recommend looking on a website (like Levi’s) at their size chart. Then get yourself a measuring tape, and find out what your size really is! After looking through your wardrobe, decide what wash of jeans would go well with your existing clothes. Typically, a medium wash might be your safest wash to go for. You can also assess whether you typically wear darker or lighter colors on top. I would then contrast with your jeans. If you wear a lot of bright colors or white on top, go for a medium to dark wash jean. If you wear a lot of black or darker shades on top, contrast them with a medium to lighter jean. Thank you so much for reading this week’s post! Are you feeling a bit more confident about your next jeans shopping experience? Comment down below what your dream jeans look like! If you have any great denim recommendations, I’d love to know! One can never have enough pairs of jeans, right? Special thank you, again, Zoe Griffin for taking photos for the blog! Check out her work on her Instagram! Remember to check back again next week for my next blog post and follow me on Instagram for more from me in the mean time!